The two plays presented in full in this volume – Wycherley's The Country Wife and Congreve's The Way of the World – illustrate the evolution of Restoration comedy between 1675 and 1700. Includes full texts of Wycherley's The Country Wife and Congreve's The Way of the World. 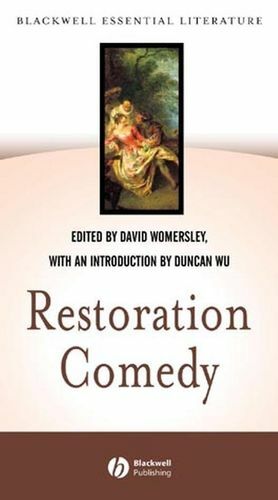 Demonstrates how Restoration comedy evolved between 1675 and 1700. Introduces general readers or students to the genre. An editorial introduction guides readers through the plays and the period. David Womersley has been a Fellow and Tutor in English Literature at Jesus College, Oxford since 1984. Duncan Wu is a Fellow of St Catherine's College, Oxford, and University Lecturer in English Literature. The Way of the World (1700).